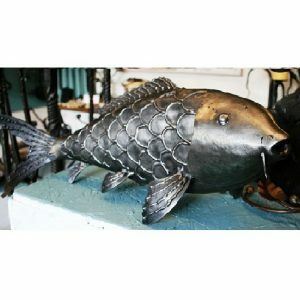 A unique, fully handmade carp sculptures made by the blacksmiths of West Country Blacksmiths. The carp sculptures are fully free standing and has all the markings of a real carp including from very intricate detailing. Category: General Items and Gifts. Tags: Animal, Artistic, Gift, sculpture. 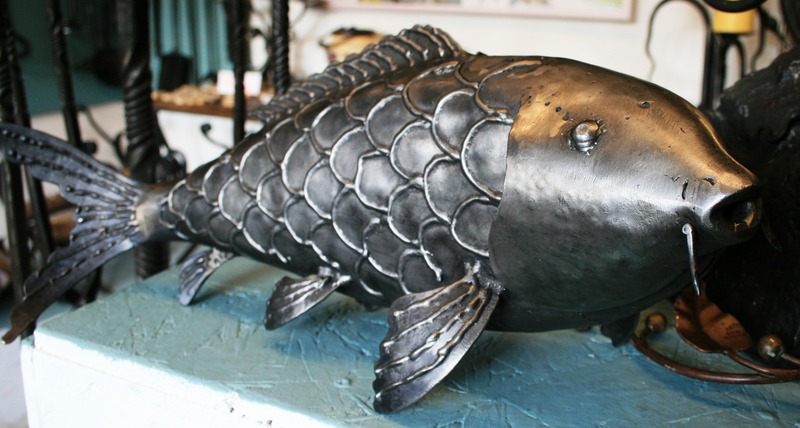 A unique, fully handmade carp sculptures made by the blacksmiths of West Country Blacksmiths. The lifesize carp sculptures are fully free standing and has all the markings of a real carp including some very intricate detailing. The lifesize carp sculptures are forged and put together in framework to be relatively light in weight. The carp is finished with a heat treated and lacquered finish for internal use. We have individually produce carp following the undertaking of a sculptural project and we have found the individual carp to be a really eye-catching favorite in our gallery which never stay long and have been used for many things including gifts and to be converted into a trophy. The carp being purchased is an individual carp only. The carp pictured is roughly 500mm in length and all are fully hand made. The actual size and appearance of the carp received may vary slightly due to the hand made nature of the piece. 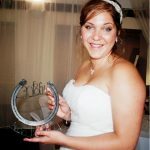 This is a one of a kind artistic sculpture and only a handful will ever be made, which makes this a truly unique items and fantastic gift for the right person. Please note that the prices quoted include vat, packaging and postage. We aim to have this item ready to send within three working weeks.